In 1935 Hamilton introduced the 14/0 sized 980 and 982 movements. The 982 originally went into the solid gold watches and the 980 went into the gold filled models. One of the first 14/0 980 models was the 1935 Boone. 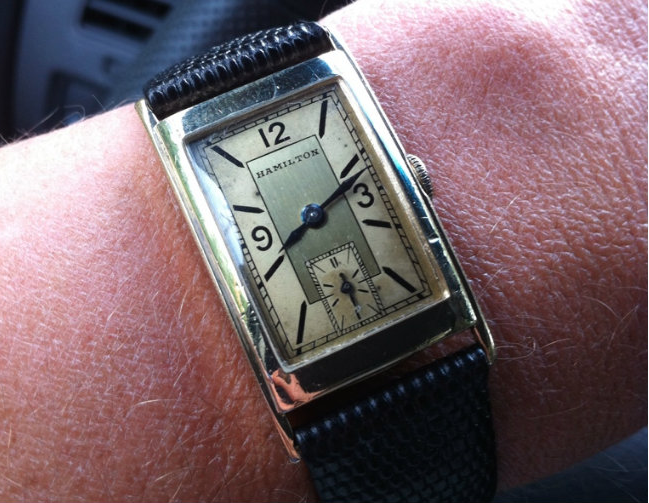 Produced through 1938, the Boone is unique among Hamilton's rectangular watches in that it features a reeded edge (like on a quarter). It also takes a wider strap than most other models of the time (19mm). The Boone came with two dial choices, an applied gold numeral dial or a two-tone enamel dial. Personally, I think the enamel dial is very striking and is a great looking watch but I like both examples. Hi! 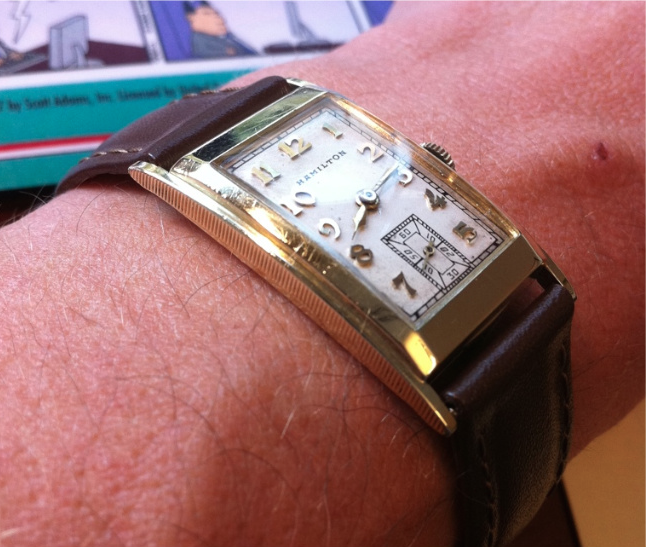 Would you know the appraised price for the top picture, the gold numeral dial? Not the orginal band, and the crystal is missing. Totally varies on condition. If the case is nice and the watch is running and the dial looks good then upwards of $75-$100 since it obviously needs attention. If it’s not in good shape then less.